What is the definition of Diabetic Foot? Diabetic foot is a disease complex that can develop in the skin, muscles and bones of the feet as a result of the nerve damage, poor circulation and/or infection that is associated with diabetes. What proportion of diabetics will develop diabetic foot ulcers during their lifetime? What is the most common cause of lower limb amputations? In India, what is the most common type of diabetic foot presentation, Neuroischemic or Neuropathic? What are various classification and grading systems for Diabetic foot ulcers? 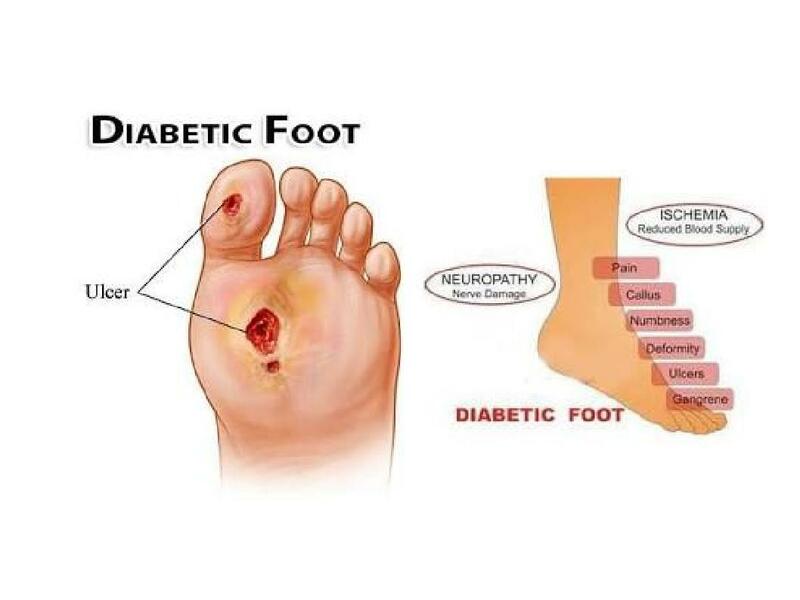 What are various pathophysiological factors which contribute to causing Diabetic foot syndrome? 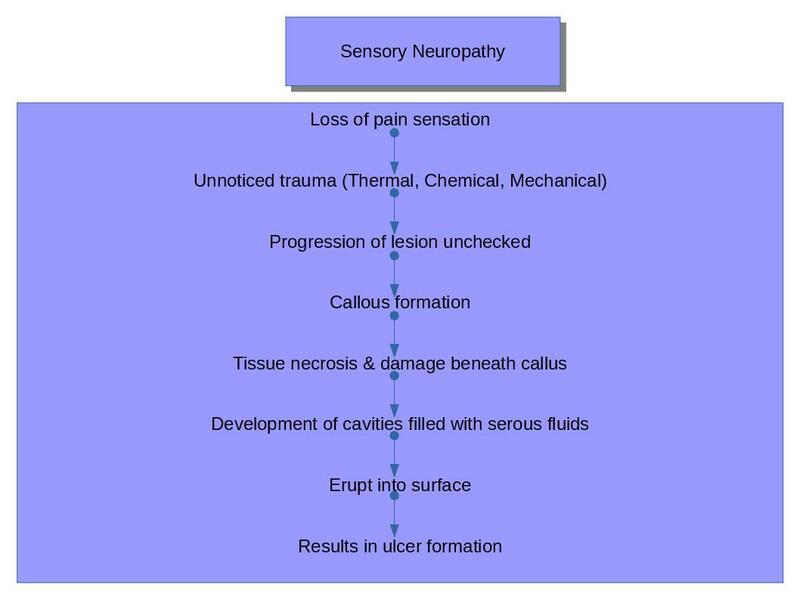 How does Diabetic Polyneuropathy contribute to the causing of diabetic foot?